“Historiadores Sin Fronteras”, by Francisco Rodríguez-Jiménez. Francisco Rodríguez-Jiménez, faculty member, has written the piece “Historiadores Sin Fronteras” for the blog Americracia, published by El Mundo journal. Greetings. I need to share a program’s brochure with colleagues, but I seem to have an old version (attached). I was wondering if you could please send me the latest version in which I’m also included among the faculty (last page) and which includes all the latest updates?  Previous Previous post: The Global and International Studies at the University of Salamanca is proud to announce a One Time Special Opportunity Scholarship for Spring 2018. Next Next post: Professor Fernando López-Alves gives his opinion on our Masters Program.